On Wednesday 30 January, Queen Margaret’s played host to the inaugural Independent Schools Nursing Conference. The brainchild of QM’s resident Senior Nurse, Helen Williams, the conference was created to respond to an emerging need to recognise health and well-being’s role in schools. Covering topics such as Diabetes, Eating Disorders and Safeguarding, the event was developed to create an effective sounding board for discussion and questions on current topics, as well as a platform to share best practice. Guest speakers included: Dr Vijay Jayagopal, York Hospital – ‘A Spotlight on Diabetes’; Jacqui Hourigan, North Yorkshire Clinical Commissioning Group – ‘A School Nurse’s Contribution to Safeguarding’; Astrid Croasdale, North Yorkshire Police – ‘Safeguarding Children’; Caroline Price and Julia Young, Beat Eating Disorders – ‘Eating Disorders in Schools’ and Bev Gilbert, Medical Officer of Schools Association (MOSA) who reflected on the day’s presentations and presented conclusions. 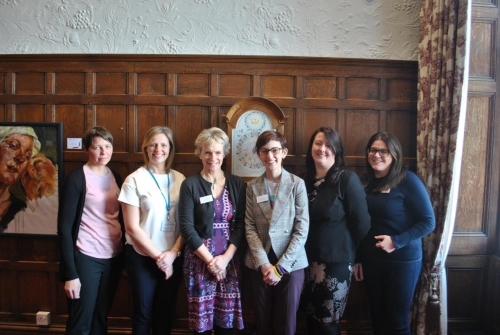 There was an overwhelming response to the Conference, with nursing professionals from over 45 participating schools from across the country attending: from as far north as Yarm School in North Yorkshire and as far south as Taunton School in Somerset!